Keep up to date with our tarvel videos, behind the scenes and the ins and outs of the wonderful world of videography! 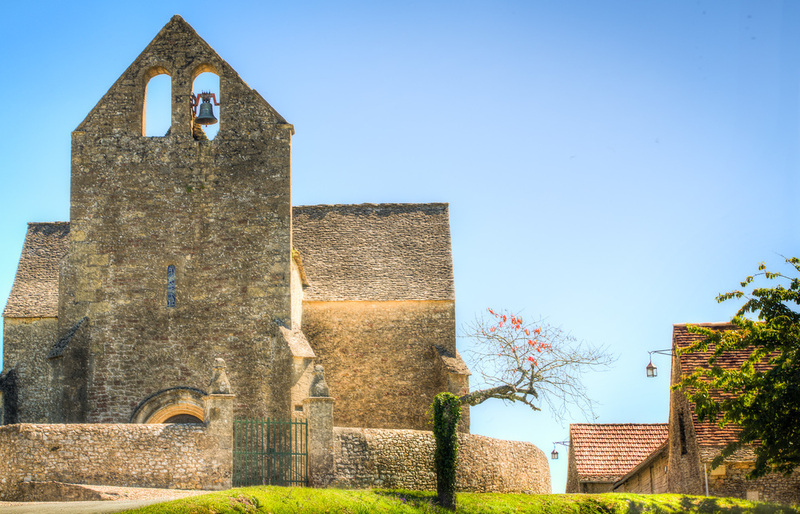 Lately we've been writing quite a bit about the department of La Dordogne in France. We realized that what we really want to do is share with you guys a complete travel guide for this extraordinary region based on our experience. So we took the time to put together the first part of the series. Without further ado, here it is! We created a 10-day travel guide complete with itinerary, costs, logistics, what to do, what to eat, where to stay and much more. So get ready to pack your bags! 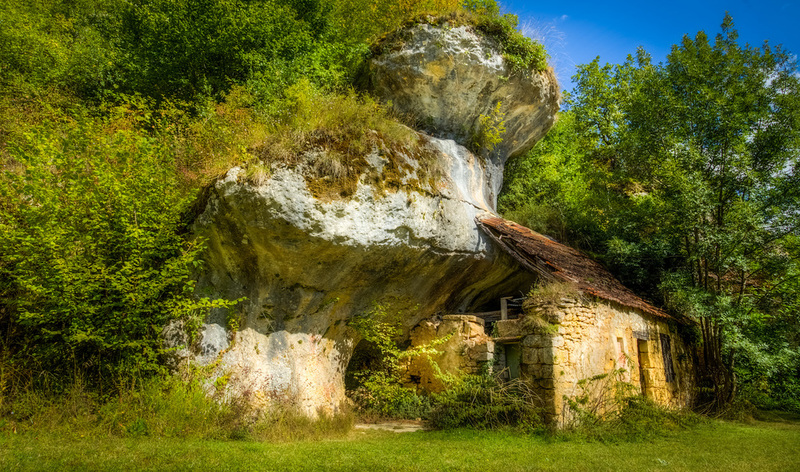 If you haven't read our previous posts on this region then you should probably know that in the past few years the south of France, more specifically the 25km region of the Vézère Valley between Montignac and Les Eyzies has become the epicenter of prehistoric cave art . Adventuring yourself into prehistory will probably change your life, it certainly changed ours. Visiting the archeological sites, abandoned towns and medieval villages is also kind of like the main attraction when visiting the region, so lets get into it! Land in Toulouse and rent a car. We fully recommend you have a car for this trip, you'll be free to stop in the many medieval towns along the way, not to mention enjoy all the scenery at your own pace. If a car is not an option (financially or say maybe you HATE driving?) You can always go by train, which will be a lot faster, less preoccupying and maybe even a bit romantic! and just leave out anything that requires a car. However, and for the sake of this guide, let's assume you saved enough money and you now have a car. 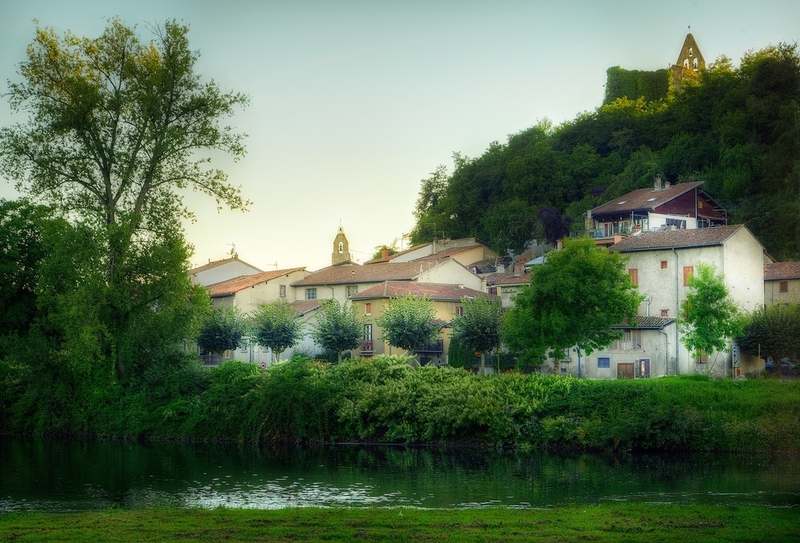 Drive to St Girons, along the way you'll visit the charming town of Foix (pictures above). Stop and eat your first foie gras! Once in St Girons stay for two nights in Hotel Restaurant-Eychenne. An important preamble must be stated before we continue. Lodging accommodations in these medieval towns are NOT the priority. You will not find state of the art hotel rooms with brand new furniture and modern comforts. These houses turned into hotels are very old buildings with alot of history, but isn't that the charm of it all? Now lets get down to business. Hotel restaurant Eychenne located in the middle of St Girons is a place frequented by the french themselves just for the culinary experience. The food and the service at the restaurant are EXCEPTIONAL. You've just travelled a long way so get ready to treat yourself. Every single mouthful is an explosion of flavours. The borgoña region wines are absolutely fantastic and the Magret de Canard is the signature dish that you should order...Oh! Oui, tres gourmet! So now you are well fed and ready for a quick stroll (if you are not too tired) The town is gorgeous. Walk through the little streets and alleyways, go and see the old gothic church, walk along the river with its tiny bridges and buy souvenirs from the street vendors. If your stomach allows, enjoy some ice cream and a coffee before heading back to the hotel to rest. St Giron is located exactly in the middle of our two prehistoric caves of the day, you just have this one day to visit them so be ready to leave early because you will most definitely be stopping along the way. There will be many little towns with stores selling foie gras and confiture, not to mention the countless chateaux, bridges and old maisons, it's not every day you're in a place surrounded by so much history! Up a mountain we found Saint Bernard de Comminges. In 72 B.C a Roman Colony was founded, becoming the home to more than 30,000 people at it's highest point . Officially named Saint Bernard in the 13th Century it was know as a town that brought together different people, foodstuffs and high finance transactions. The gorgeous cathedral has three distinct architectural styles: Romanesque, Gothic and Renaissance. It's a true treasure. OK, on the road again! First we'll discover “Grotte Gargas” about an hour away from our hotel very close to the Pyrenees Mountains. This is an extraordinary cave and it’s famous because it has more than 200 negative hand paintings belonging to the upper paleolithic period, they date back between 29,000 and 20,000 years! Tickets are 10,50 Euros. Hopefully the guided Gargas tour will have opened your appetite for more prehistory, in the meantime quench your actual appetite by grabbing a bite at the restaurant-cafeteria at the entrance and get ready to head straight towards “Grotte de Niaux” (It’s about a 2hr drive). Make sure you reserve in advance, not so much for Gargas but definitely for Niaux, as its quite popular and there is a daily visit limit. You really don't want to make the two hour drive up the mountain and later have no tickets available! Enjoy the view along the way! Niaux stands tall and visible on the edge of the Pyrenees. It contains a series of very important paintings from the Magdalenian period. However it wasn't until 1906 that the cave was studied and considered prehistoric. Before preservation of the paintings begun, the cave was frequented by hundreds of people. They couldn't possibly imagine that the paintings in the Salon Noir were actually so old so you can see all kinds of "vintage graffiti" dating back to the 17th century, that in fact are just as intriguing as the prehistoric paintings. The cave is immense and extraordinary. The guided tour is 1km long by foot and the temperature can drop to 11°C so always remember to bring a jacket. They provide flashlights but if you prefer to bring you own it's certainly allowed. You are not allowed to take video or photos once inside which is a huge bummer. Time to relax! Head back to the hotel! You must be exhausted! Plus its almost dinner time! You may say things like; "why so early?" or "i'm not hungry" or "why don't we grab a bite and a drink later tonight". Well, lets put it this way. The french may be many things, but one thing they are not is FLEXIBLE WITH THEIR SCHEDULE. You will start noticing a pattern the second you cross the french border. Everything is done within a strict window of time, with or without you. Yes like the U2 song. And if you don't adapt quickly then get used to hearing this phrase a lot "Je suis désolé" which roughly translates to "i'm sorry." This applies to breakfast, lunch and dinner times, museums and cave visit times and pretty much everything else. Les Eyzies de Tayac, a commune in southwestern France is where we recommend you stay the rest of your vacation. This charming small town is the home to some of the most fascinating studies on prehistory. From this location you'll be able to drive everywhere around the region of La Dordogne. It’s a three and half hour drive. So wake up early and enjoy the drive through the breathtaking scenery, the glowing sunflowers and the unspoiled countryside. Regarding accommodation everything depends on your budget and what you're looking for. In the area you'll be able find many hotels and hostels. Prices may vary, you'll be able to find rooms from 25 up to 80 Euros a night. What we highly suggest you do is plan this trip in a group of 4-6 because, not only its a great adventure for groups, but you can divide the lodging costs and instead of staying in a small room you can rent a little cottage (apartment house) equipped with everything! Monsieur Jean Magnou and his wife are the owners of a beautiful petit chateau, they rent two fully equipped small apartments on the downstairs floor. You'll have at your disposal: A great kitchen, 2-3 bedrooms per apartment, an absolutely charming garden with a crossing river and of course a fantastic pool (it's summer after all!). click here for his contact information. It’s around 500 Euros a week, which may sound a little expensive but remember, you're sharing the costs. You'll also save money by dining in and most importantly the experience is definitely worth it. Once in Les Eyzies take the rest of the day off and relax! You've been travelling all day stopping and taking photographs. After a nap by the pool or general relaxing head over to the town which is at walking distance and enjoy some more french wine! Add to that some camembert cheese, some foie gras and bread! When in rome do as the romans do! This is your vacation! In the morning take a nice walk downtown and stop at your closest boulangerie, get some freshly made warm croissants and baguettes! Breakfast will become your favourite meal of the day! A great way to discover the region of Dordogne is by travelling down the Vézere river in a canoe or kayak. At noon put on your swimsuits and head to your closest canoe rental, you'll find one every 100 meters along the river. The staff will help you decide which starting point is best for you (which by the way they drive you to!) It completely depends on how many hours you're ready to paddle. The canoes are rented by the hour: 1hr costs 10 Euros - 6hrs 24Euros. My advice? They don't actually time you, they assume the time it takes to base from each starting point. So pay for 3 hours and take as long as you want making stops along the way. 3 hours will quickly turn into 6, there is a lot to see. As long as you are back 6pm SHARP you are golden! Prepare a picnic for a fun improvised lunch. You'll be able stop in small petit beaches and eat while splashing your feet in the refreshing water, remember you'll be looking at vestiges of the earliest human occupation (more than 100,000 years ago). Doesn't this sound amazing! The Vézere river is very quiet and has rich wildlife. It has been classified as World Heritage Site by UNESCO. At sundown you'll probably be exhausted, why not go home and start the grill? A nice barbecue with French wine is everything you need! One of the most interesting caves we had a chance to visit and want you to check out is Peche Merle. It’s a one and a half hour drive from Les Eyzies. We stopped to take a photo of this small prehistoric museum we found on the way, isn't the view incredible?! Sadly we were late and it was closed! (remember what I said earlier about the time thing? VERY strict!) To be honest sometimes you have to disregard the itinerary and the schedule and let real adventures unfold in front of you. So don't just stay on the highway all the time, trust your GPS or your map and explore the offroads! More often than not the landscapes and views are much nicer and you can drive at your own pace! Also you never know where you may end up! While driving through the back roads we ran across a sign that led us to this charming farm below called Cabanes du Breuil thought to have been populated since 1841. It will struck any visitor with beauty and uniqueness. By 1995 the whole farm was listed as a historic monument. Remember, every adventure is worth living! So, lets assume you didn't get super lost and stuck in the middle of the french countryside at night time! You've got the adventure out of your system and you've even arrived on time for the cave tour! Once inside Peche Merle not only you'll be fascinated with it’s 10 km of immense galleries which look like they've been taken out a Hollywood set for Indiana Jones, but they contain the very famous dotted horses that date back 25,000 years. Aside from the horses another impressive thing to see are over a dozen preserved and almost fossilized prehistoric footprints of an adolescent boy probably from the upper paleolithic. The authenticity of these prints is guaranteed by the fact that the prehistoric entrance was sealed off at the thawing of the last ice age about 10,000 years ago. The cave art is found in the deeper areas of the cave and was discovered by two teenagers in 1922, they had been exploring the cave for almost two years! It’s been opened to the public since 1926. This cave is a must have on your list! After Peche Merle you can head over to Saint Cirq Lapopie. Here you will be sight seeing and having an early dinner. The town situated in a cliff 100m over the Lot River, once built for protection today is a very common tourist destination with a great viewpoint of the La Dordogne. This town is a masterpiece of medieval architecture. Surveyed by the fortified church, the houses with their sloping, brown-tiled roofs are a harmonious partner to the picturesque alleyways. This stop has attracted both artists and writers such as André Breton who used to take up residence in the village during the summer season. If you're lucky to arrive at sunset climb to the top of the cliff and enjoy the extraordinary experience of the multiple colours that will unveil before you onto the valley. Later on head to the delicious restaurant "La Tonelle" and order the fabulous french spin on an american classic: a double prime beef cheese burger with foie gras between two loafs of country bread. This burger is a life changing experience! We actually dedicated an entire article honoring this town, it's definitely worth visiting. Soon we'll post the second part of this travel guide! Extraordinary places are yet to be discovered! So remember to subscribe if you haven't already! Hopefully you've been inspired and tempted to make this your next holiday destination! Remember to like and share so that other people can enjoy this unique experience! All photos taken by ©Lazybear 2014. contact for LICENSING and/or editorial use.